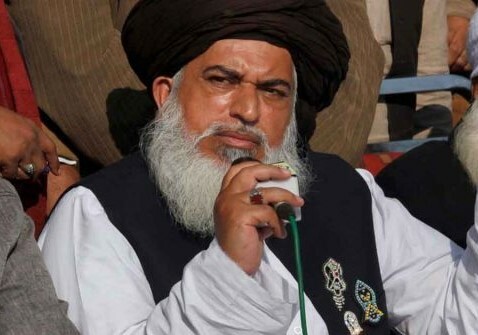 JHANG: The district administration on Wednesday barred firebrand cleric Khadim Hussain Rizvi and 32 other ulema of different schools of thought from entering Jhang for 60 days and restricted 17 others from delivering speeches within the revenue limits of the Jhang district for two months. The aim of the ban is to maintain peace in the district. Among other ulema whose entry was banned are Molana Kafayatullah of Dera Ismail Khan, Molana Kafayat Hussain Naqvi of Multan, Molana Muhammad Bin Alam of Chichawatni, Molana Tahir Ashraf of Lahore, Molana Muhammad Rafiq Jami of Faisalabad, Omer Haidri of Layya, Molana Abdul Hameed Wattoo of Gujranwala, Molana Abdul Matin Khan alias Zahidur Rashdi of Gujranwala, Dr Khadim Hussain Dhalon of Khanewal, Molana Abdul Khaliq of Kabirwala, Molana Masoodur Rehmani, Molana Abdul Ghani of Hasilpur, Molana Yahya Abbasi of Muzaffargarh, Molana Muhammad Akram Tofani of Sargodha, Molana Aurengzeb of Karachi, Molana Tariq of Chichawatni, Molana Suhail Abbas Naqvi of Multan, Molana Ilyas Ghumman of Sargodha, Molana Mushtaq Ahmed of Chiniot, Qari Riaz Jhangvi of Toba, Molana Ghufran Mahmood Sialvi of Rawalpindi, Molana Muhammad Yousaf Sargodha, Molana Mulazim Hussain Dogar of Lodhran, Molana Gulfam Hashmi of Multan, Waseem Abbas Baloch of Chiniot, Zakir Saqlain Ghallu of Bhakhar, Zakir Najmul Hassan Notak of Bhakhar, Allama Ghazanfar Abbas Tonsvi of Dera Ghazi Khan, Shokat Raza Shokat of Multan, Molana Raja Naser Abbas of Rawalpindi, Azher Hussain Kazmi of Rawalpindi and Jafar Jatoi of Muzaffargarh. Those who were restricted from delivering speeches include Qari Abu Sufian, Qari Usman, Molana Muhammad Aslam, Ibrahim Shah, Rafiq Tonsvi, Molana Abubakr Shah, Qari Muhammad Tahir, Molana Abdur Rehman Usmani, Ghulam Abbas, Molana Anwer Ali, Zakir Liaqat Ali Samandowana, Molana Azher, Saddam Hussain, Qari Abdul Majeed, Molvi Asif alias Saifi, Omer Haidri and Irfan Haider Karbalai.